Salem, MA (July 4, 2018) – A driver in Salem, Massachusetts sustained injuries in a two vehicle crash Tuesday. The crash occurred at 7:35 pm on Washington Street, near the intersection with Mill Street. Police say two vehicles collided with one another for unknown reasons. 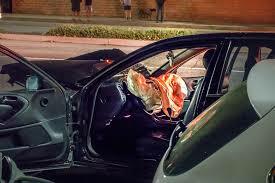 The force of the collision caused the airbags in one of the vehicles to be deployed. No additional details are available as of Wednesday morning. If you’ve been hurt in a collision, you are probably wondering what you should do next. Collisions happen daily across Boston and surrounding areas. They happen suddenly and leave you feeling like you’ve been victimized. You are facing a number of uncertainties about your future and you are wondering what will happen as the medical bills pile up and you are missing valuable time off of work. The other driver’s insurance company will want to speak with you right after the accident. If you have been hurt in the crash your first call should be to an experienced injury attorney. Your attorney will deal with the insurance company so that you can worry about more important things such as your healing. At the Law Offices of Jeffrey S. Glassman, we maintain a robust personal injury practice and have experience in accidents involving all types of vehicles and circumstances. Our team of attorneys knows how to help if you have been injured in an accident caused by the negligence of another driver. Our team is specially trained to help you through one of the most difficult times of your life. We work on a contingency fee basis which means we recover nothing unless you also recover. There is absolutely no obligation on your part.